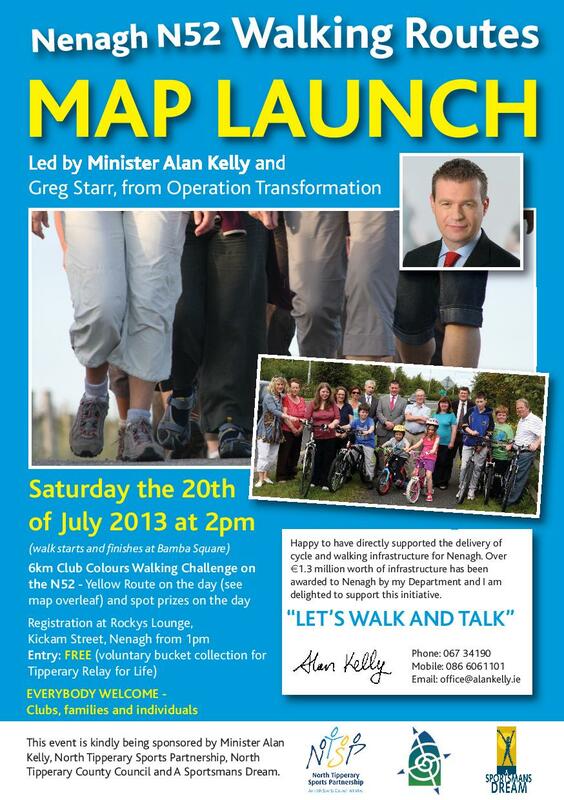 Minister Alan Kelly and Operation Transformation Leader, Greg Starr will lead a 6km N52 Club Colours Walk Way Challenge in Nenagh on Saturday 20th July at 2pm supported by North Tipperary Sports Partnership. 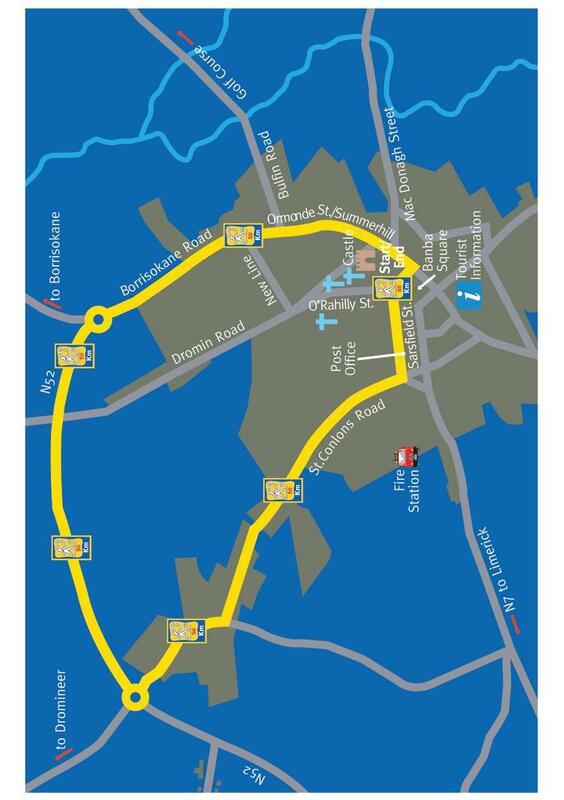 Registration will take place at Rocky’s Lounge, Kickam Street, Nenagh from 1pm. Entry is free. All are welcome - clubs, families and individuals.